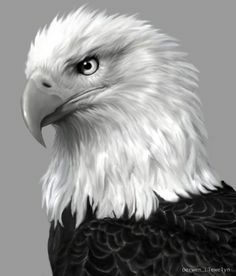 I usually draw most animals using a front view, but the eagle is one little fellow that is easier to draw using a side view. Notice how the character seems to be proud and confident. Notice how the character seems to be proud and confident.